Marist College is notable for a vast number of things, but one of the most notable is the James A. Cannavino library. From its regal architecture to its incredible views, one look at the library may be one of the most enticing reasons to come to Marist. At any moment there are students bustling in and out of the library, fervently typing on their computers, or just chatting with friends. Currently on this Wednesday, the library is full with an interesting plethora of characters. On the main floor of the library upon entrance, the front desk and reference desk come into first glance. Today sitting at the reference desk is senior, Bryan Lampert. 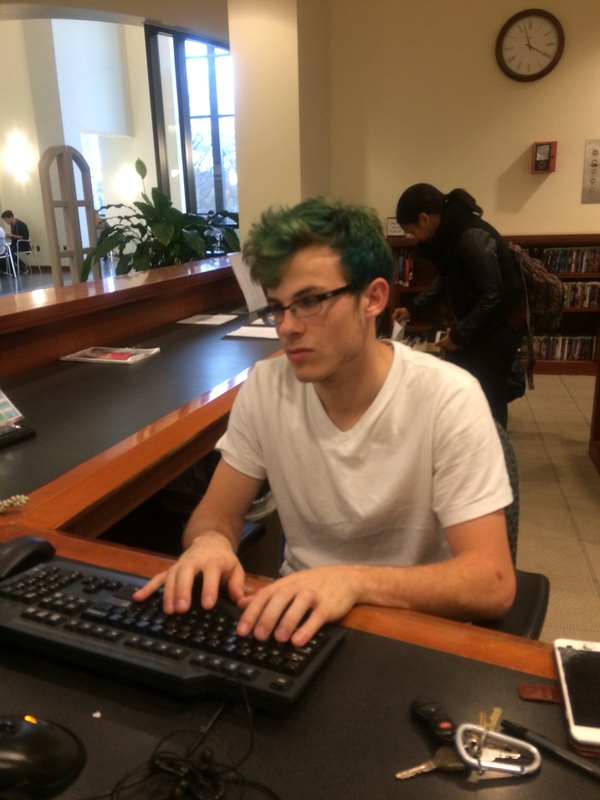 Bryan works for the student library system, which for those who may not know is a different sector than the reference desk. The student library system works on collaborative room requests, maintaining software and checking on the computers. Interestingly, they also take a count of how many people are in the library every so often. Bryan said that they also manage the lost and found and that yesterday they even found a passport. He had only been working a shift for two hours today when I spoke to him, but he said they were busy. Walking across the main floor glancing at all the various students working I spoke to Megan Morelli, a senior working on her speech for the upcoming event, The Brunch. Megan is in the class Event Planning that works to plan The Brunch each year. Megan explained to me she is one of the directors for the events, so she is required to give a speech that introduces the speaker and thanks those that have contributed. Another student came over to her excitedly showing her a ticket to The Brunch; only 100 tickets are sold to students. On the second floor of the library there are not as many students working as on the main floor. There are classes being held in the computer labs and group meetings taking place in most of the collaborative work rooms. Career Services and the Writing Center did not seem to be awfully busy today, but did have some students awaiting consultation. The basement of the library was very quiet this late afternoon. Senior Lindsey King was using it as an escape before her five o’clock class tonight. 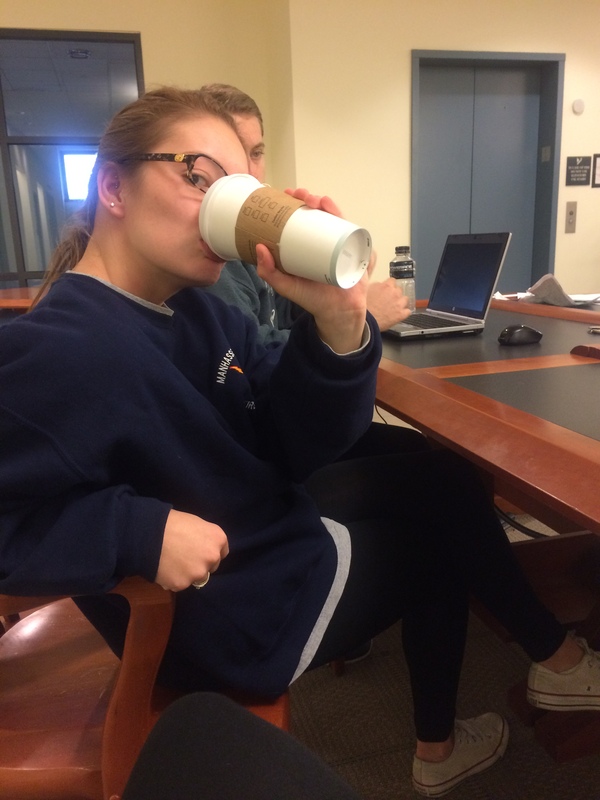 She informed me she had been working in the investment center and did not feel like driving back to her off campus house, so she figured she’d spend an hour in the library before class. 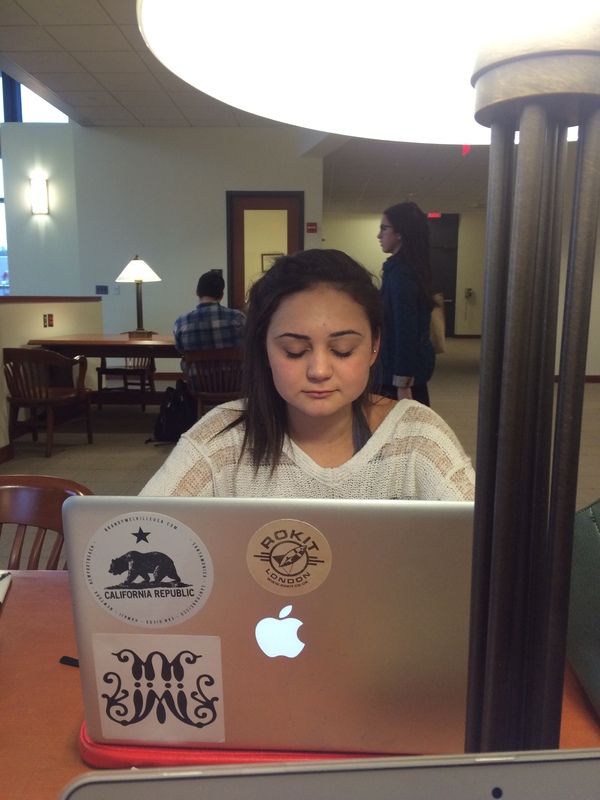 The library is a different kind of place for each student at Marist at any given moment. Some use it to focus on the work, others use it as a place to escape before class and take a moment of solstice for themselves. Whatever you may use it for, the library at Marist is a place for everyone. ← What is going on at Marist?